If you haven't heard by now Regis Jesuit high school has a very talented female basketball player. She's considered one of top high school basketball players in the country. 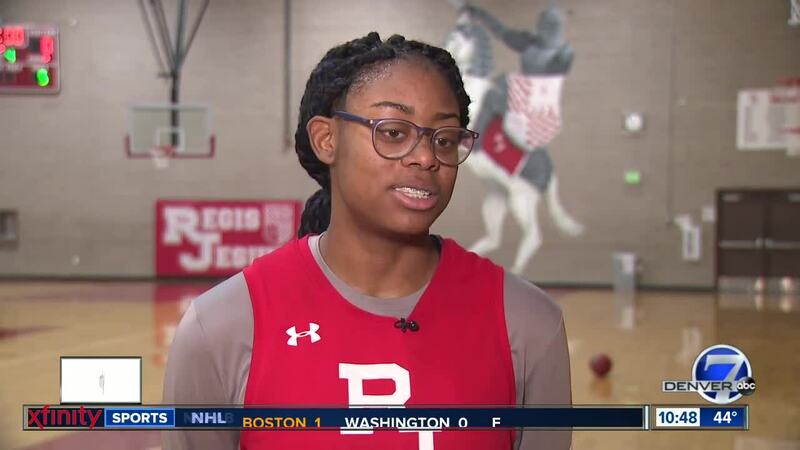 AURORA, Colo. — If you haven't heard by now, Regis Jesuit High School has a very talented female basketball player. In fact, she's one of the best in country. Senior forward Fran Belibi hasn't been playing the game for very long but she is certain leaving her mark, one dunk at a time. Some say she is evening changing the game. Denver7 Sports Anchor Alison Mastrangelo had a chance to catch up with her to find out more about her love of the game and what she hopes to do after high school. Watch the video above for the full story.